April 29, 2014 By Elise 11 Comments This post may contain affiliate links. Please read my disclosure policy for more info. Homemade Tummy butter isn’t just for tummies! I’ve been using it all winter to protect my skin against the dry cold! I’ve fallen in love with making my own body products lately, in case you haven’t noticed, and I think one that I’m most proud of is this tummy butter. Lots of tummy butter and stretch mark creams use things like almond or avocado oil – which are excellent – but you can’t just walk into a local store and pick them up. 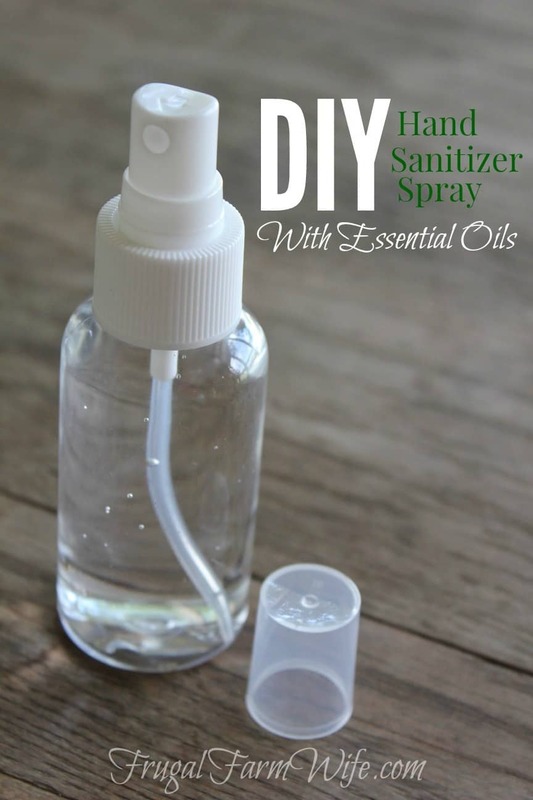 I also try to keep my supplies as streamlined as possible – that’s the big reason I don’t have a lot of fancy oils – so you can imagine how happy I was when I found out that olive oil works terrifically in their place. Now, admittedly, you can’t just walk into any old store for cocoa butter , shea butter , or bees wax either, but you can get them. Hobby Lobby has them all last time I was there, and believe it or not, Dollar general has pure cocoa butter. With the prevalence of insecticides and chemicals used in bee keeping these days, I went ahead and ordered organic bee’s wax since I use it a lot. It’s important to know that stretch mark cream doesn’t actually make stretch marks disappear. Once those deep tissues are torn well – they’re torn. But they can fade, and feeding the collagen along with moisturizing the skin helps with that process. So the reason you use stretch mark cream is that, theoretically, if you consistently use a good stretch mark cream throughout pregnancy before you develop stretch marks, you can actually prevent them from happening. Personally, I use it because I find that now, since I’ve had kids, my tummy skin tends to be a little dry, and this cream really helps keep it moisturized. 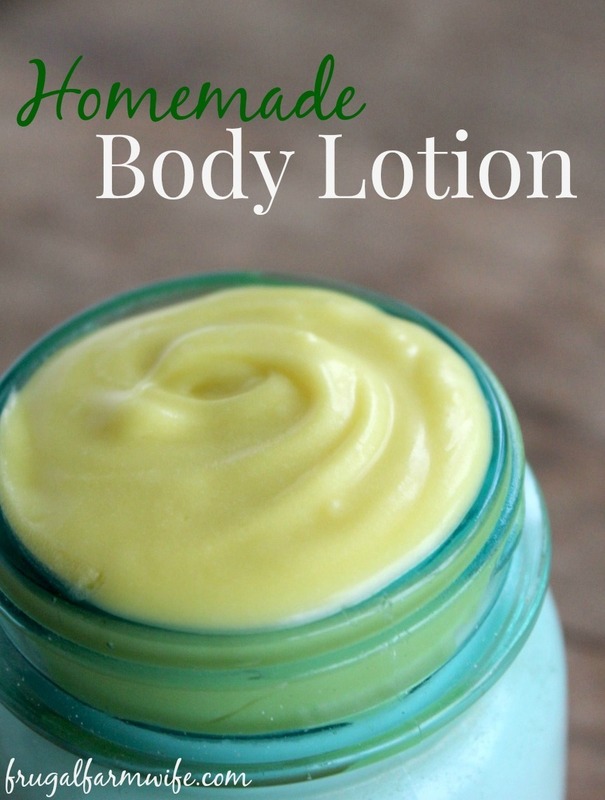 The main reason I don’t use my super simple baby lotion recipe for this is that it absorbs too quickly. This cream is thicker, and absorbs over a longer period of time – which is perfect because I like to put it on at night, just before I go to bed. I’ve put mine in a deodorant container (which you can order here ), partly because it’s a twist tube, and is really handy for rubbing directly onto your skin, but mostly because I have a bunch of them since I’ve started making lots of deodorant. I love making deodorant! 🙂 …but I digress. 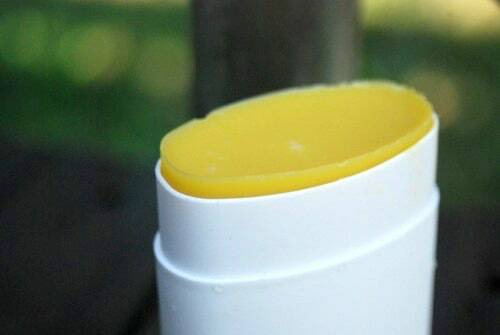 You can put your tummy butter in whatever sort of container strikes your fancy, and if you’d rather not have a “bar”, you can omit the bee’s wax for a softer texture. 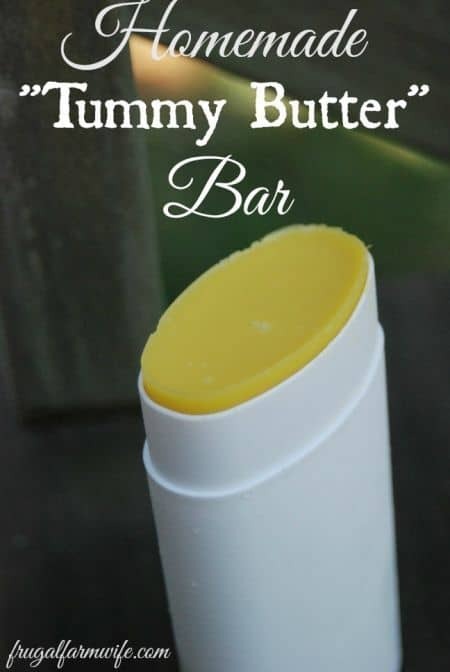 Or if you want a bar, but don’t have any bee’s wax, you can simply store your tummy butter in the fridge. combine first four ingredients in a small sauce pan. Break open capsules and add vitamin E oil. Gently heat on low until just melted. Add essential oil if desired, and place pan into a cold water bath, stirring until lotion begins to set up. Quickly pour into desired container. Instead of a cold water bath.. could you just set it in the fridge? Just wondering how much this recipe makes? Does it make one deodorant tube full or more than one? Thanks! !